Have you ever gone to the vacuum store, looked at a few top quality machines, decided on one, and then changed your mind when you learned the price? Instead you bought a cheap machine from a giant retail store and have regretted it ever since. If that sounds familiar the Carpet Pro CPU2 just may be the vacuum you’ve been looking for. At a retail price of about $230 I knew that Carpet Pro had a good reputation for building tough reliable machines, but until I tried one for this review I had never had an opportunity to use one. The result; the CPU2 did not disappoint me. Ten amps of power, metal skid plate, metal roller bar, and an above average filtration system add up to a machine worthy of high praise. 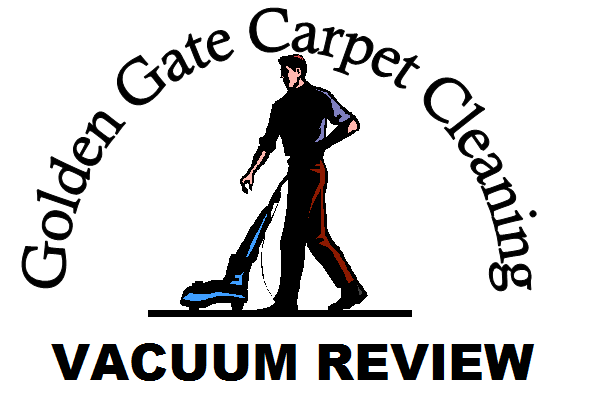 Before writing this review I used the vacuum in ten different homes over four days on numerous different styles of carpet. It worked equally well on all of them, and was perfectly safe on wool. The machine I used was the very basic model with no on-board tools, or headlight although both are available on other models. The power was great, it was very easy to push, and has a very low noise level. It has a 40’commercial cord so you can clean numerous rooms from one plug which is always handy. The push of a lever allows the handle to go all the way flat in order to get under the furniture. The cleaning head itself is fairly tall so it won’t go under most beds, but tables, chairs, chests and things like that were not a problem. The CPU2 did an acceptable job of getting right up close to the wall from both sides and the front of the machine, but as always, for that final touch though I like to use an edge tool (it’s rough being a perfectionist). The vacuum I used did not have built in attachments, but I keep all the tools I need on my carpet cleaning truck. I hooked up a 12′ hose and an edge attachment and again the CU2 had exceptional suction and did a great job. In my world having a vacuum that works well on upholstery is also important. Once again I hooked up a 12′ hose, this time with an upholsterty attachment, and used it on three sofas and one recliner. Pet hair, food crumbs, lint, dust and any other debris were no match. Getting a 12 – 15 foot extension hose is something I always recommend getting when you purchase a new vacuum. It is much easier to set the machine in one place and be able to do all the edges and upholstery without moving it. There was not an extension / attachment kit available specifically for the Carpet Pro, but any vacuum shop can easily make one up for you. As much as I liked the way the Carpet Pro performed there is one feature that I wish it had. It does not have a switch to turn off the brush bar and use suction only. This is an important feature when using attachments. You don’t want the bar spinning when the vacuum is sitting in one place because that can damage the carpet. So when using attachments I tipped the machine back against a chair, wall, sofa or whatever far enough to lift the brushed off the carpet. No big deal, but having a shut off switch would be nice. Hardly a reason to knock the machine, but hey, I call em like I see em. So there you have it. My full stamp of approval for a basic machine that is well built, works great, and is a huge bargain. Update: As of a few days after this review the machine I used is now the very one on my carpet cleaning van. Seldom in the cleaning industry will you find a topic that stirs more differing opinions than that of “Green Cleaning”. What is it, does it really get carpet clean, and why is it more expensive? The questions go on and on, so I will try and attack a few of them here from a practical point of view. Many industry professionals feel that any environmental benefits of green cleaning are negated by the facts that the cleaning supplies are still made in factories that burn electricity, are shipped in plastic bottles, delivered by large fossil fuel burning trucks, and ultimately used in your home by a guy using electricity and a machine that runs off gas. All these things are true, and to tell you the truth I have no idea if the benefits of green cleaning outweigh the negatives. It would also not surprise me to learn that nobody else does either. Whichever argument you want to support is up to you, but today I want to talk about how it makes your homes environment a more appealing place to live. Have you ever walked into a hotel room and although the room looks clean there is that overwhelming smell of cleaning chemicals in the air; or how about that annoying smell of glass cleaner that lurks in the air when you’re cleaning the inside of your car? These are the types of issues that Green Cleaning can very successfully make go away. I clean in homes every day, some not so dirty, and some extremely dirty and it is a very rare occasion that I can’t get the carpet or upholstery perfectly clean with green products that have no harsh chemical or perfume smell of any kind. All of the green products I use also leave no undesirable residues behind in your carpet. For the record there are residues that are perfectly OK to leave and cause no undesirable effects. More about those in a future post though. The whole question of which chemicals can be considered green and which ones can’t is a tricky one right off the bat. Remember I’m a professional carpet cleaner not a chemist or a guy who actually makes soap. That said I’ll do my best to share with you what my research has taught me. Other than the Federal Governments Leeds Program, which can be quite vague, there is no real binding standard for what qualifies as green. So just because a bottle of soap has a certified green seal on it doesn’t necessarily mean it is any safer than one that doesn’t. In many cases manufacturers can put a “Green” or “Organic” stamp on just about anything without breaking any laws. Fortunately though, I have found all the certified green soaps I have gotten from the major makers of carpet cleaning supplies to be perfectly legitimate. Most of the major makers of carpet cleaning supplies now offer certified green cleaning supplies. They don’t contain any VOC’s, perfumes, solvents, or other chemicals that many customers find offensive. They clean just fine, do not have objectionable odors, do not aggravate allergies, and leave carpet safe for children and pets to crawl on. Personally, I think these are all huge pluses when it comes to the indoor air quality of my home. The bottom line is, consumers need to ask enough questions until they are satisfied that they have found a reliable professional. Do this and your home will be a clean, healthy place. 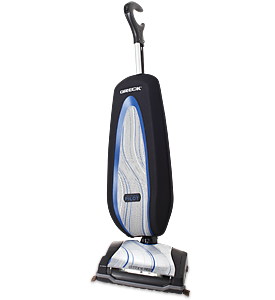 Anyone who hates lugging a heavy vacuum cleaner out of the closet and then fighting to push it across the carpet might want to take a good look at the Riccar, SupraLite models. At only eight pounds these machines are very easy to carry and push, but boy do they pack a punch. When it comes to lightweight vacuum cleaners there are many makes and models to choose from in today’s market. 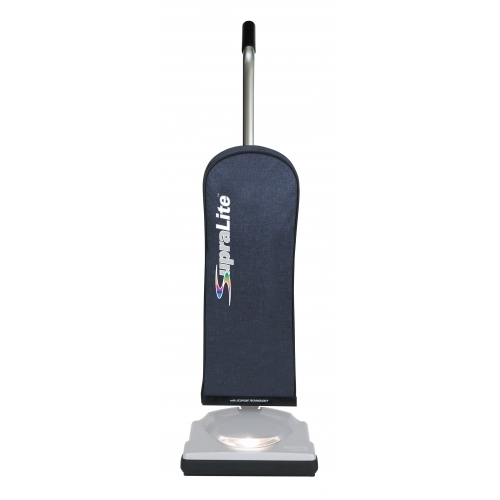 The SupraLite 1A is the most basic model in the series and works great for basic carpet vacuuming. The 5.5 amp motor gives plenty of power to pick up every type of household debris that you may throw in its way. I’ve used almost every vacuum you can imagine and the amount of air this machine moves and the suction power it has is really impressive. Sand, pet hair, dust, etc. were no problem, and even though it does not have an edge brush I got the dust right up to the wall with no problem. Now that said, if you are vacuuming behind a dresser or bed where the dust is really built up along the wall, you will have to hook up a vacuum with an edge tool. Being the most basic model the 1A does not have all the fancy features of the more expensive models, but I found nothing that took away the machines performance. The rubber handle grip was comfortable and easy to hold and the 30’ cord allowed me a pretty good cleaning radius. It laid all the way down flat so going under furniture was easy, and the bag is one of the biggest vacuum bags on the market. I found the big bag to be important because with the power of this cleaner a normal size bag would be constantly filling up. There is no HEPA or other fancy filters on this machine, but if you use the genuine Riccar bags it should give you all the filtration you need. The power switch is on the base so you have to turn it on with your foot rather than flipping a switch on the handle (I didn’t find this at all inconvenient). There is a headlight that worked fine but I didn’t notice it to be anything out of the ordinary. 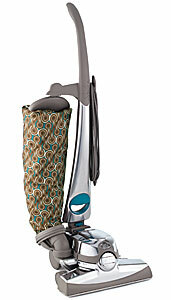 Like most lightweight vacuums the SupraLite1A does not come with attachments. Riccar does make a small (about the size of a shoe box) machine though, that is the perfect compliment for uses where attachments are needed. One warning though before you buy this machine. Most of the carpet I used it on it worked just fine. There are some carpet styles though that it was all but impossible to push it over. The suction is so good that the carpet gets sucked up into the brush bar and you can’t push it. So if you have one, bring a piece of your carpet to the store, or make sure they have a return policy. The only other real drawback of the 1A was that it is pretty loud. You won’t be able to talk over it or hear the telephone or doorbell. Depending how sensitive you are you may even want to consider ear plugs. All in all I’m a huge fan of this American made machine for all your residential or commercial needs. I actually own one and have cleaned tens of thousands of square feet with it and it has never let me down yet. Few things in the carpet cleaning industry are as frustrating as those dreaded recurring spots. As cleaners we show up at your house, do what we think is a picture perfect cleaning job, only to have you call us back in a few days informing us that those pesky coffee, ink, wine, grease, etc spots are back. This is not a terribly frequent problem for the experienced technician, but it does happen and returning to solve the problem is what can really separate the true pro from the mere tyro. The spot was not fully removed. The spot was removed but the spotting agent used to remove it was not fully rinsed out. The spot soaked beyond the surface into the carpet backing or pad and gradually wicked back up (almost always the case with pet stains). These are a few of the most common causes and the first two are easily dealt with and only take a few minutes to correct. In the third case though, once things soak down beyond the carpet surface they can be difficult to deal with. If the spot is small enough there are special tools that may remove it, but often the problem can’t be solved unless the carpet is pulled up, cleaned from the back, and new pad is installed. This creates a lot of extra work and expense and most of the time is not a viable option. One thing that I have learned over the years is that knowledge often comes from experience. If the cleaning technician or whoever may have come to your house first, takes the time to carefully look at problem areas and then asks a few questions, they will often know right then if these are spots that are likely to return, and can then discuss the possible results. Now, he’s a professional who’s correctly telling you what to expect rather than a guy having to apologize for a lousy job. Big difference! As the homeowner there are also a few steps you can take to help prevent undesirable cleaning results. We’ve talked about recurring spots but now let’s talk about its close cousin, resoiling. Resoiling would be a post cleaning substance that has been left on the carpet. Sometimes this is also the fault of the cleaner but not always. If the cleaner did not properly rinse the carpet, the soapy residue thats left behind can quickly attract more dirt. In just a few days it will look like the carpet was never cleaned. What often also happens in the case of resoiling is not the fault of the cleaning company. Most professional cleaners will suggest that you stay off the carpet until it is dry. We can suggest this, but remember, we can’t tell you what to do in your house. If people don’t take the suggestion of the cleaner and proceed to walk around on the wet carpet, by the time it’s dry, it won’t look clean any longer. The wet carpet actually does a really good job of cleaning off the bottom of your shoes. Add to that any accidental food or drink spills and, well you get the picture. So there you have a few reasons as to why those unwanted spots have a sneaky way of showing up again. In any case, if you are working with a reputable cleaning company, your phone call should always be welcomed, and a return visit should be done in a timely and courteous manner. Thanks for reading and next time I will try to tackle the difficult question of what is “green cleaning”. Remember, Avoid Uneducated, Uninformed, and Sometimes Downright Unscrupulous Carpet Cleaners! Over the years I have had many chances to use Oreck vacuums and have always been a fan. When there is a job to do and somebody builds a lightweight easy to use machine to do it, I’m all for it. With the XL Platinum Pilot series Oreck has outdone themselves. As is the tradition of Oreck, the Pilot is a lightweight machine suitable for light residential or daily commercial work. The key to the Pilot is the swivel feature. Any time a vacuums head can pivot, it becomes much easier to maneuver. Going around sofas, table legs, along the edges of the walls, are much easier with a vacuum that turns on a dime. You can also lay the Pilot flat, making cleaning under beds and furniture a breeze. In the past I have heard people complain that Oreck vacuums tend to clog easily. I use vacuums much more frequently and strenuously than most people and I found nothing in the Pilot that would cause it to clog more than any other Vacuum. The motor is plenty powerful, and the brush bar is more than adequate to tackle all your common dirt, and dust. That combined with the HEPA filtering bag that keeps pollens and other allergens out of the air, add up to well functioning machine. That said, if you have long haired dogs in your house and only vacuum once every few months this or any other vacuum will clog. 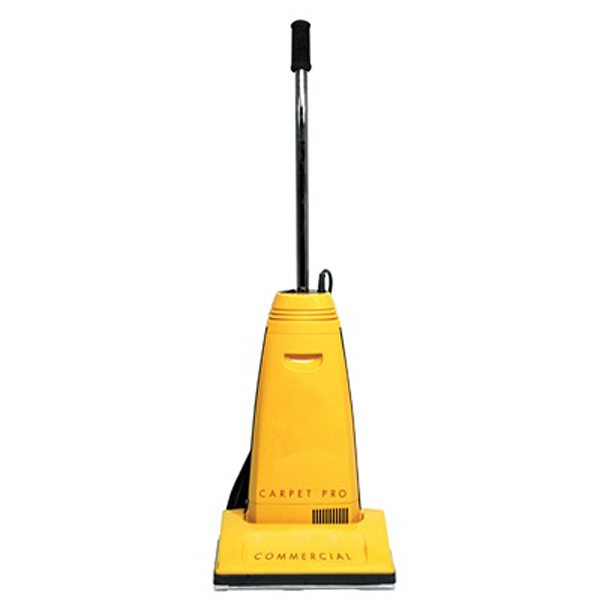 Not only will this machine vacuum your carpet but it will also work on your hard surface floors. It has a two speed switch that allows it to work perfectly on wood, tile, linoleum, etc. when set on low speed. A few other features that scored high with me were: It did a good job of cleaning right up to the wall, and the headlight was the best I’ve ever seen on a vacuum cleaner. The bag is very easy to change, and for a lightweight vacuum it was not as noisy as I expected (lightweight machines tend to be louder than traditional ones). The vacuum does not come with attachments but most Orecks are available with a small attachment vacuum sold with them. I would give this machine an enthusiastic four out of five stars. As I go about my daily carpet cleaning jobs there are many questions that I get asked with a fair amount of regularity. Today I’m going to address the question of post cleaning stain protectors. You chose your new carpet carefully, did your due diligence in selecting a cleaner, and now after he finishes the job the question of stain protector comes up. In a perfect world I would say, you did your homework in selecting a reputable cleaner, so going on his recommendation would be a safe bet. Well as we all know the world is not always perfect. Even some of the best cleaners out there often overlook some of the more subtle tools of our trade. I recently heard a manufacture rep. say that only about 50% of cleaners offer stain protectors. My own experience tells me that of that 50%, only about half of them apply the products properly. When not applied properly the products don’t work, and you the customer, have wasted your money. Now that said, let’s talk about the products that are correctly applied. Most of you have heard of the big brand names such as Scotchgard, Teflon, Stain Shield etc. These are good products that can be valuable tools in helping to keep your freshly cleaned carpet looking clean. Just as important though, they can keep that occasional red wine, coffee, juice etc. spill from leaving permanent stains. Thus when properly applied, I highly recommend protectors in your high traffic areas. That may be plenty of information for most people, but I know how much some of you like to know how things work so here is a simple explanation of the intricacies of stain protectors. Stain protectors are primarily designed to work on nylon carpet, but using them on any other fabric is a perfectly safe and acceptable thing to do. The majority of stain protectors are all Fluorochemicals. When applied properly Fluorchemicles can repel both water and oil based soils which can be very beneficial to the life and appearance of your carpet. Fluorochemical protectors work by lowering the surface energy or tension of the carpet or furniture. Surface energy or tension is the attraction of molecules in a water-based solution. Think of putting a drop of water on a non-porous counter top, the reason it beads up is the result of low surface tension. So by lowering the surface tension of carpet, the result is similar, the spill beads up and doesn’t soak into the fabric. Some protectors also contain what are called acid dye blockers. These have all the advantages of fluorochenicals plus they can repel those Kool-Aid and food dye stains. If you were to take one individual strand of nylon that makes up carpet an look at it under a microscope you would see what are called the dye sites (kind of like pores). Acid dye blockers get in and fill / clog those sites creating a negative charge at the fibers surface, thus blocking the food dyes from attaching to the fiber (food dyes are also negative). As you can see, making carpet stain resistant is all about chemistry and it can be a very effective tool in extending the life of your carpet. We often only think of using protectors on carpet, but don’t forget that they can also be used just as effectively on upholstery. Thanks for reading and next time we’ll talk about those recurring spots.